First Giveaway Ever: Surprise Revealed! Since Genavee has received her box of goodies, I wanted to share with you what she got! 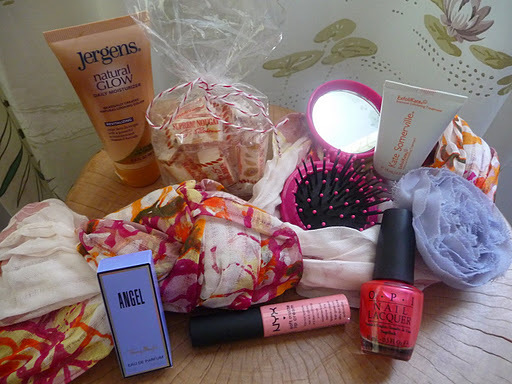 I tried to include things that make me feel beautiful, like Jergens natural glow lotion (I’m super white and feel prettier when I have some color on my legs) and pretty pink nail polish. I also wanted to include things that you all talked about in the comments of the giveaway post, like pretty hair (a little brush might help, as well as that cute flower clip) and a floral scarf (a lot of ladies talked about how wearing a sundress makes them feel pretty and this was as close as I could get without getting everyone’s measurements). I also included some lip gloss, perfume (Angel is one of my favorites), exfoliating face wash (for glowing skin), and some yummy nougat candy from Cowgirl Creamery in the ferry building in San Francisco! 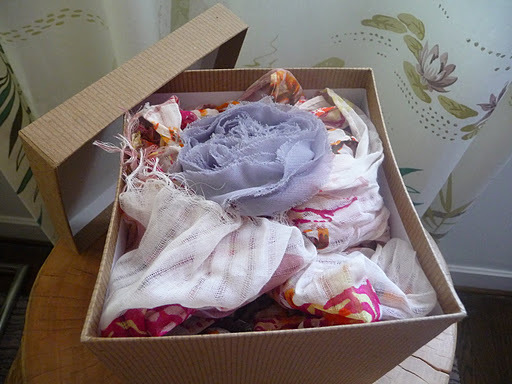 I used the scarf to wrap everything up instead of tissue paper and put it in a nice brown box. 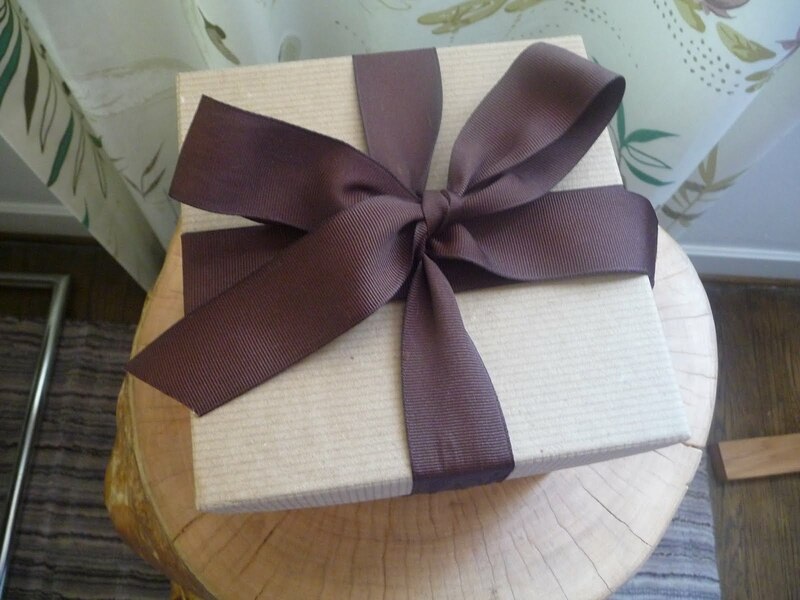 I tied some thick grosgrain ribbon in a bow around the box to finish things off and sent it all the way to Genavee in Oklahoma! I have the same exact nail polish I included in the beauty box. Here I am at the beach showing off my pretty pink toenails. I can’t wait for the next giveaway! !